Watch Adam Reed's online hairdressing education videos exclusively on MHD. With a passion that dates back to as long as he can remember, Adam began his hairdressing career at the young age of 13. In the ensuing years Adam amassed over two decades of experience in the industry, gaining international renown for his instinctive artistry in creating elegant and iconic styles, often referred to as modern classics. In 2003 Adam met his future business partner, Paul Percival, when he joined Phamous Artists, the edgy, yet refined styling agency run by Paul which caters to the music and entertainment industry in providing hair and makeup for video and editorial shoots. Adam’s work on the fashion front line has taken him all over the world. Adam has worked as head stylist backstage for BaByliss PRO at prestigious shows for Marios Schwab and House of Holland. He has also headed up the hair teams for Matthew Williamson, House of Jazz and Julien McDonald, creating new commercial trends that have appeared in major publications. 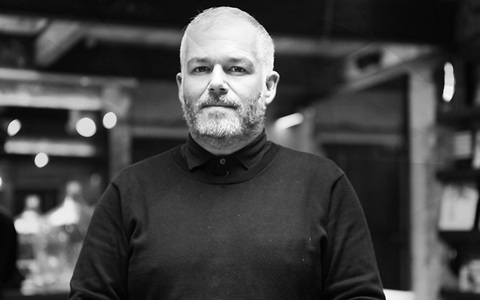 His editorial work is vast and includes publications such as American and British Vogue, Elle, Marie Claire, Grazia, Tank, W, Esquire, Nylon and How To Spend It, and advertising campaigns for Harvey Nichols, Lucozade and Agent Provocateur, among others. He has a robust list of loyal clients and an ever increasing VIP following including: Ellie Goulding, Diane Kruger, Sophie Dahl, Noel Gallagher, Henry Holland, Mel C, Agness Deyn, Erin Wasson, Joely Richardson, Plum Sykes, Jamie Winstone and Anna Friel. In addition to his salon, session and editorial work, Adam is also a highly respected educator for L’Oreal Professionnel, and educates aspiring hairdressers by sharing his creative aesthetic and technique globally. Paul Percival and Adam realised that they had a professional chemistry, and more importantly, a similar vision for what the salon experience should be. Thus, in 2007 Percy & Reed was established as an eclectic, relaxed and friendly salon where pretension is left at the door, and creative brilliance and technique dwells within. Percy & Reed immediately became one of London’s most talked about destination hair salons, with a highly skilled team focused on delivering a tailor-made service to clients in a welcoming environment. They were chosen as the official hair styling team for The X Factor 2010 and have also accepted the role as official hairstylists for Britain and Ireland’s Next Top Model.